Create new memories this Valentine's and dine with your sweetheart at Mario's. Feast on a sumptuously romantic lunch or dinner from February 10 - 15, 2017 while being serenaded to favorite love music by the resto's resident pianist. Mario's in Tomas Morato, Quezon City presents its Valentine course with a choice of Cream of Pumpkin and Potato Soup. 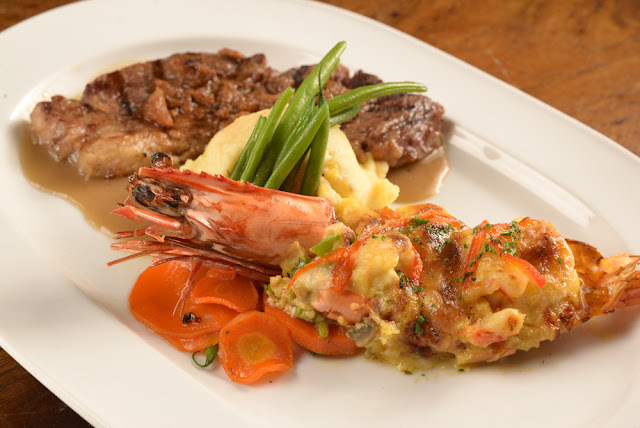 For the mains, its Twin Tournados of Tenderloin Steak Duo with Bearnaise and Mushroom Sauce; Salmon and Lamb, Salmon Fillet with Roasted Garlic and Charbroiled Lamb Chop with Port Mint Sauce; or Rib Eye and Prawn Thermidor, Rib-Eye with choice of Bearnaise, Peppercorn or Mushroom Gravy plus Stuffed Tiger Prawn with a Light Cheese Sauce. End the meal with a sweet note of Red Velvet Cheesecake. 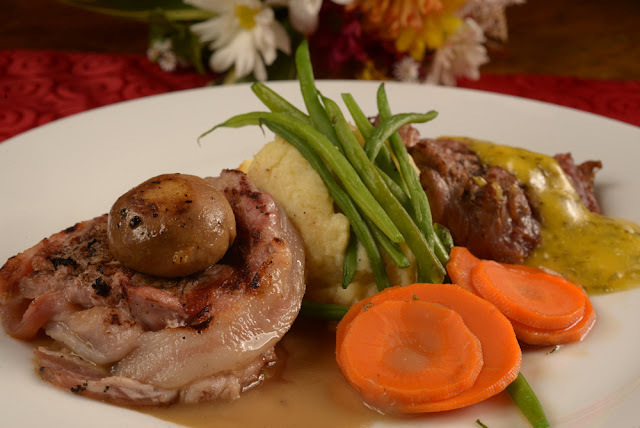 For Baguio branch, Mario's offers Two-Colored Soup, main course choices are USDA Tenderloin with Espresso-Bourbon Sauce served with Roasted Root Vegetables and Green Beans; Grilled Prawns in Aligue Sauce served with Mashed Potatoes and Asparagus Spears; Stuffed Tenderloin with Three-Pepper Sauce served with Baked Potatoes and Roasted Shallow with Cherry Tomatoes; and Cajun Salmon with Strawberry Chutney served with Charbroiled Vegetables and Sweet Potato Fries. For dessert, it Choco-Berry Mousse followed by a glass of red or white wine. Book a table as early as now for Mario's Valentine Special (February 10 - 15, 2017) available for lunch and dinner.